If you find yourself similarly afflicted, here's an India-wide writing contest just for you! 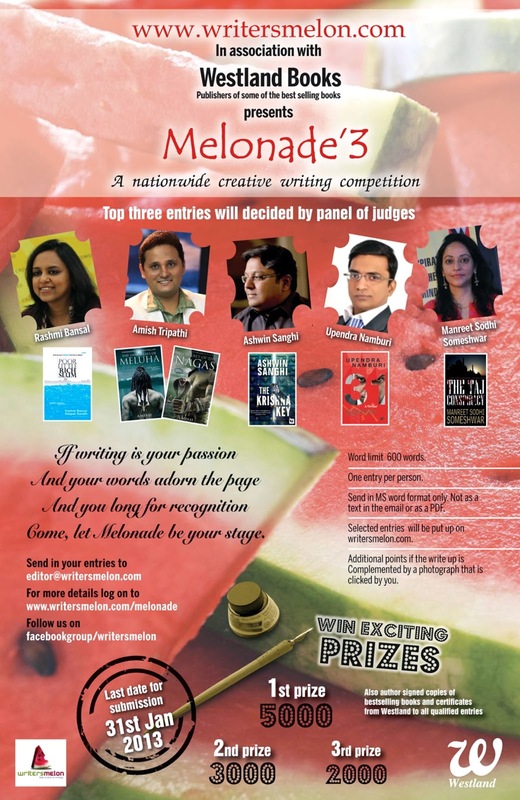 Send in your entries, the prizes are worthwhile - even though we all know that writing is its own prize; and the judges aren't adjudicators but writers themselves - we are all in the same boat. Perhaps not but you should send your enquiry to editor@writersmelon.com. Good luck!